Homey, tangy Gluten-Free Goat Cheese Dill Mini Biscuits are easy to make and have the flavor of spring. These two-bite biscuits are a great side dish for a bowl of soup, salad or with dinner in place of rolls. With spring seemingly in full swing, I’ve been making recipes with favorite flavors of the season. Fresh dill always tastes great in the spring to me. I love its fresh green feathery appearance and its signature flavor. Pairing dill with salmon is a classic combo and I like putting it on a piece of salmon on the grill like this Charred Cedar Plank Salmon with Lemon and Dill. The best known use for dill would be in dill pickles. I love to make Dilled Beans which are crunchy, tangy and fantastic on their own or in a Bloody Mary cocktail. 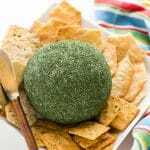 Adding dill to this Dill Green Onion Cheese Ball appetizer gives a light, fresh spin on what can be a more heavily flavored appetizer (it’s irresistible too). A few years ago I’d had the idea to create a goat cheese dill popover recipe. The sensitivity of popovers at altitude proved too much with the goat cheese included due to the added moisture. 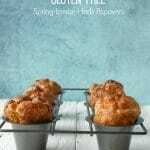 After 20+ test batches I settled on Gluten-Free Lemon Herb Popovers instead which I love. Still determined to create a homey baked good using goat cheese and dill, I launched out on a biscuit mission. When baking at altitude and with gluten-free flours, I always buckle my seat belt. It is more of a chemistry experiment with some magic thrown in to get the right balance and I’m over the moon with these gluten-free goat cheese dill mini biscuits! 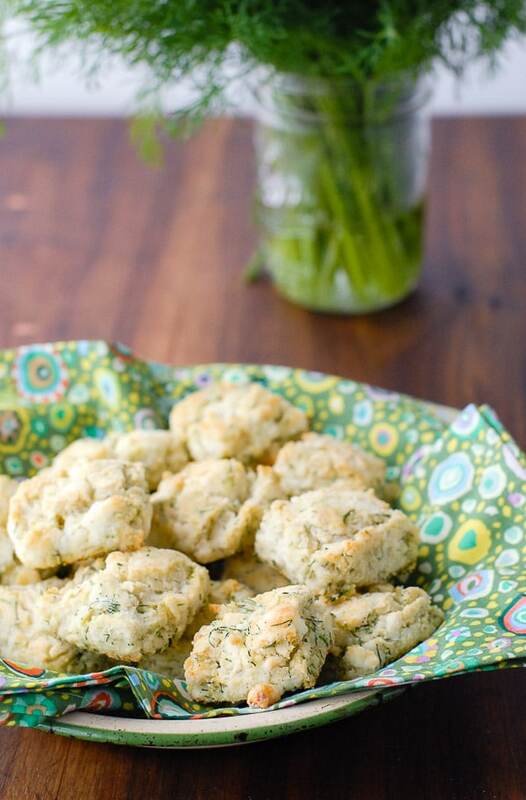 The tangy flavors of the gluten-free goat cheese dill mini biscuits taste like spring. A spring meal should be light and flavor-packed as we exit the comfort food season. Instead of making full size biscuits the dainty square biscuits a mere 1 inch by 1 inch in size. A bit more than a bite, large enough to convey the tang of the goat cheese and signature dill but not enough to occupy too much room in one’s stomach! Of course seconds and thirds are certainly allowed and encouraged! Biscuits can be a wonderful alternative to rolls with a meal. 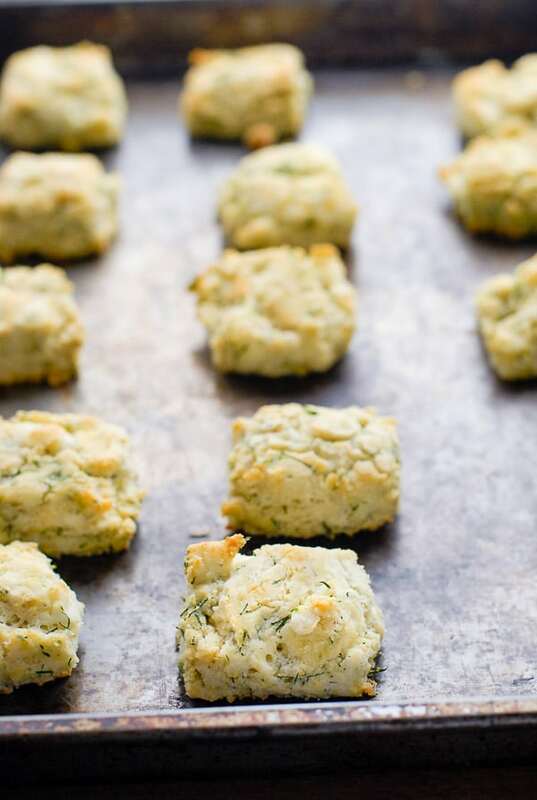 These gluten-free goat cheese dill mini biscuits are a fantastic bite-size option. 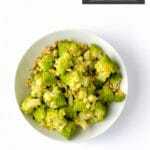 The fresh, tangy flavors brighten up any meal and go especially well with fish, soups or Easter menus. Biscuits are a more traditional Southern food and are often served with gravy. Being drier in texture than regular dinner rolls, they absorb sauces and gravy well. 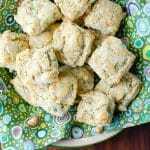 These gluten-free goat cheese dill mini biscuits have a wonderful balance between moist interior and the flaky exterior people love about a good biscuit! Great for spring meals or Easter, these mini biscuits are a great size and brimming with delicious goat cheese and dill flavors. Preheat the oven to 400 degrees. Line 1 large, heavy baking sheet with parchment paper and set aside. Combine the flour, baking powder, sugar, baking soda, salt and pepper in a large mixing bowl. Stir or whisk to fully combine. Add the butter and using a pastry cutter, work the butter into the dry mixture forming a mixture that appears pebbly. Add the goat cheese and dill. Stir to lightly combine. Pour the buttermilk evenly into the dry mixture, and mix together using a fork until combined; the mixture will not be smooth. Do not overwork. On a lightly floured surface, press the dough to an inch thick. Using a kitchen knife but into 1 inch by 1 inch squares and place on the prepared baking sheet leaving at least an inch in between each square. Bake 14-16 minutes until the biscuits begin to turn a light golden on the top. Remove from oven and place biscuits on a cooling rack until fully cooled. Serve freshly baked. These look so yummy! I love anything with dill in it! Chemistry experiment is right! I feel like it often takes so many tries to get it right, but when you do it’s heaven. This recipe sounds like you’ve hit the mark! These look so good. Homemade biscuits are one of my favorite things around holidays. What a fantastic way to use dill! 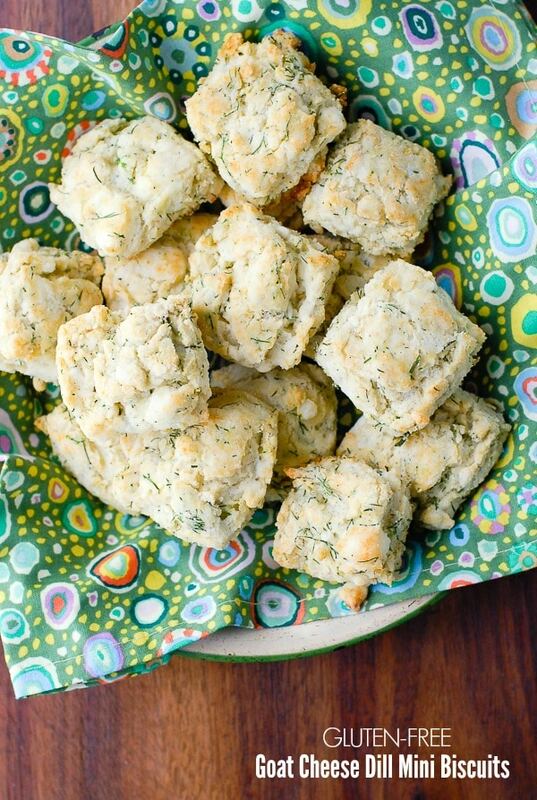 I don’t use dill in many recipes but these biscuits sound absolutely delicious. Ah those are some good looking mini’s. I love that they have dill. My granddaughter would love that they have goat cheese. That is her favorite. I have never tried Goat Cheese before, but this sure does look amazing. I would have never thought of adding dill to a biscuit before. I am going to have to make these for my mom for Mother’s Day brunch. I can imagine how amazing this tastes like! It’s awesome to be able to make this for dinner along with some gravy. It’s a nice snack for the kids as well. These look so light and crumbly. They remind me of those biscuits that you get at Red Lobster. I bet they are really tasty. I don’t see the recipe. A nice, fresh, warm biscuit can be just the right thing. Yours looks pretty and sounds like it’s quite tasty. Love! Love! Love! I’m gluten free and have been searching for some new recipes. I’m saving this one and now heading over to check out your Gluten-Free Lemon Herb Popovers. That one sounds delicious! Btw, just started following you on Twitter. I’m @MsLatina. Yay! I’m so glad you found ‘me’! 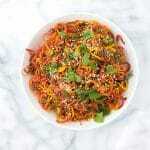 I hope you’ll find more recipes you like. These looks divine! 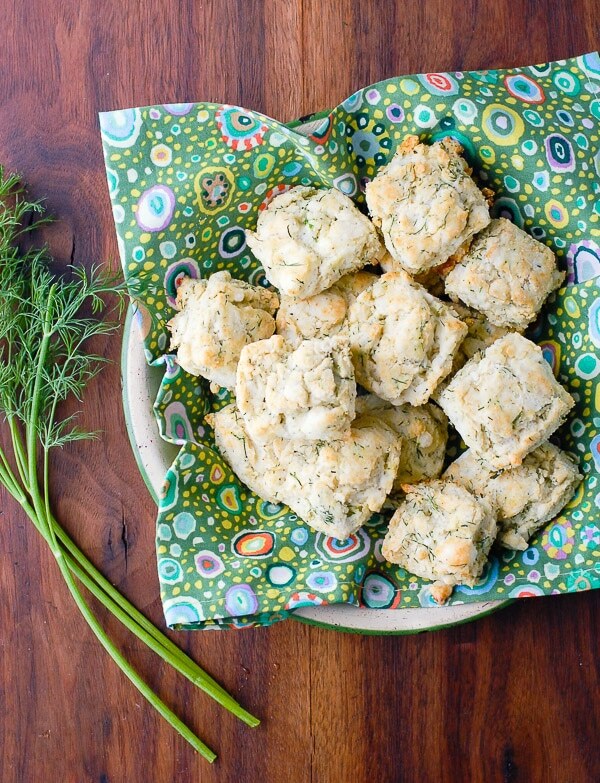 I love a good biscuit, and the dill is perfect for the spring. Bring on the warm weather and biscuits!